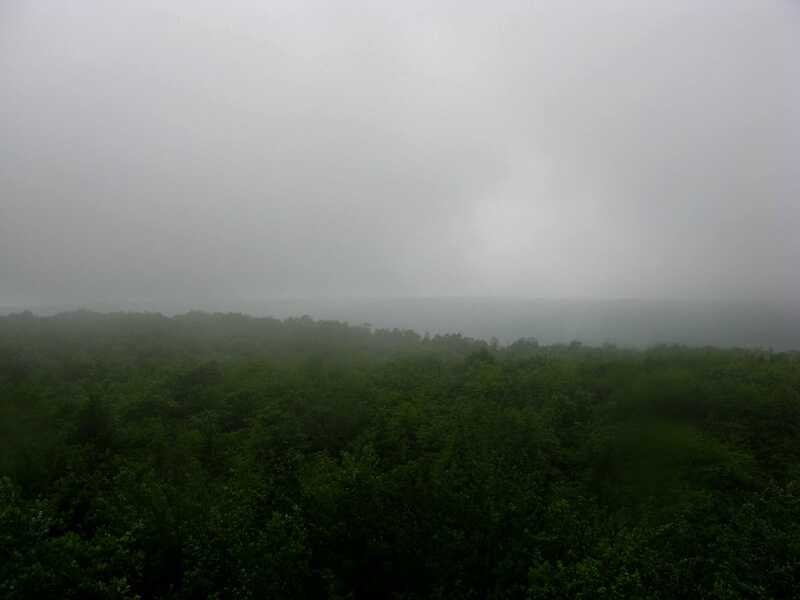 Mount Davis is home to the highest natural point in Pennsylvania, rising 3,213 ft. within 5,685-acre Forbes State Forest near the Pennsylvania and Maryland border. 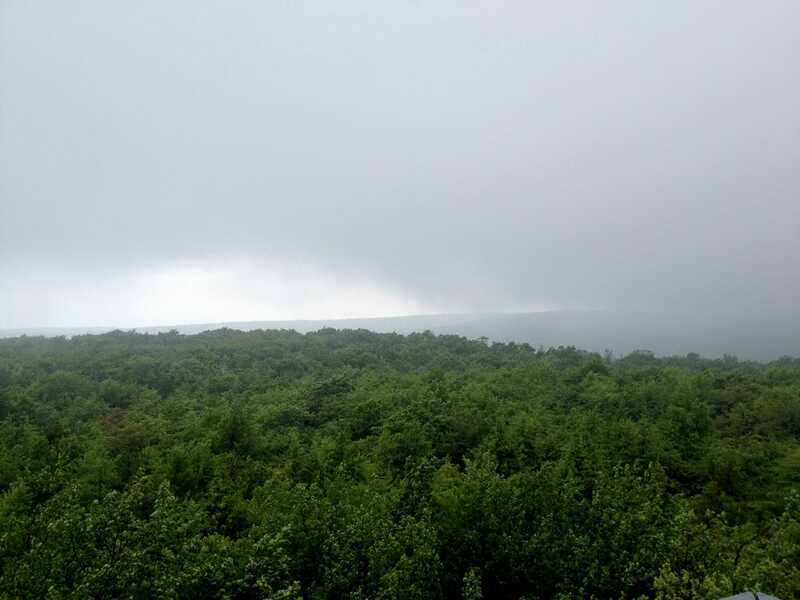 One can reach the top of Mount Davis by hiking a number of trails within the forest or by driving up very near the summit and hiking less than a mile to the true summit, which includes a nice, tall metal observation tower for good photo ops. With two young children along for the voyage – and many more miles of travel ahead of us – my group opted for the latter option. 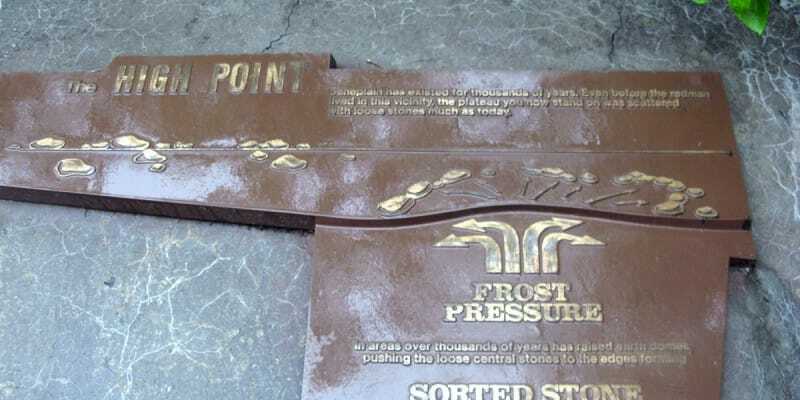 The drive up to the three-quarter mile High Point Trail was fairly well marked. That doesn’t mean one can’t get lost if one were to miss one of said signs, but, regardless, the roads leading to Mount Davis are well-marked and allow for a fairly easy discovery of the correct path. In less than a mile of easy trail walking to the true summit of Mount Davis, it seemed that all that this mountain has to offer is presented in small doses. The forest is dense – thick with a wide variety of tree, shrubs and other plant life – and seems prepared for all different types of weather, and the trail is well-maintained and ready to bring it all to you – if you’ve got the feet and mind for it. The observation tower is a tightly-packed collection of steel that leads you up a short, gated vertical journey to the very tiptop of Pennsylvania. The views from the tower are those that simply don’t translate very well into picture format. From atop the observation tower, you can see relatively far in every direction, but simply taking a snapshot of one direction in particular doesn’t tell the story. 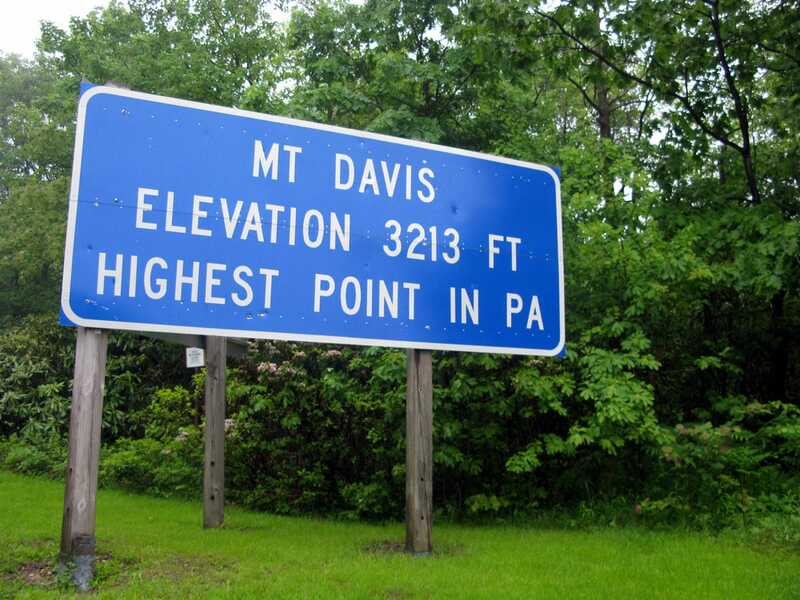 Despite the lack of prestigious postcard views ready for the bookshelf picture frame that some other state highpoints with greater prominence bring, Pennsylvania’s Mount Davis has plenty to offer. 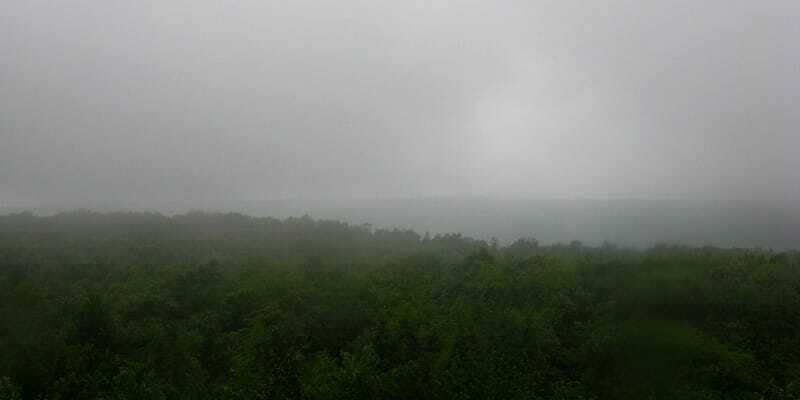 Ours was a nice, cold highpointing experience filled with dense forest, blooming pink flowers, wild bushes, fog, rain and expansive views. 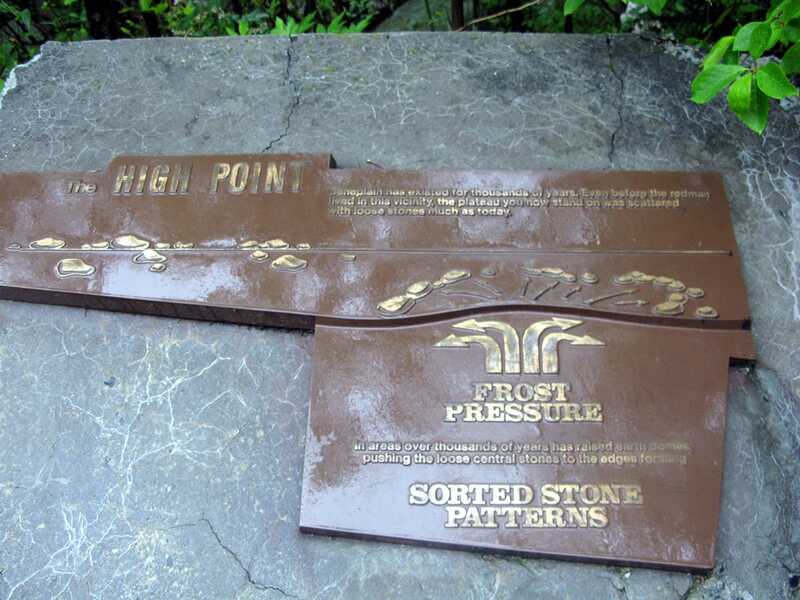 Tip: Maryland’s highpoint – Backbone Mountain – sits a mere two-hour drive from Mount Davis. You can easily visit both in one day with a little planning. We were unable to do this (*see the little bit of planning part). From I-68 in northern Maryland, get on 219 north. Follow 219 north into the town of Salisbury, PA.
At 219 and 669 in Salisbury, go west across the river about a block and then turn right (N) on St Paul Rd. Follow signs to the highpoint area. 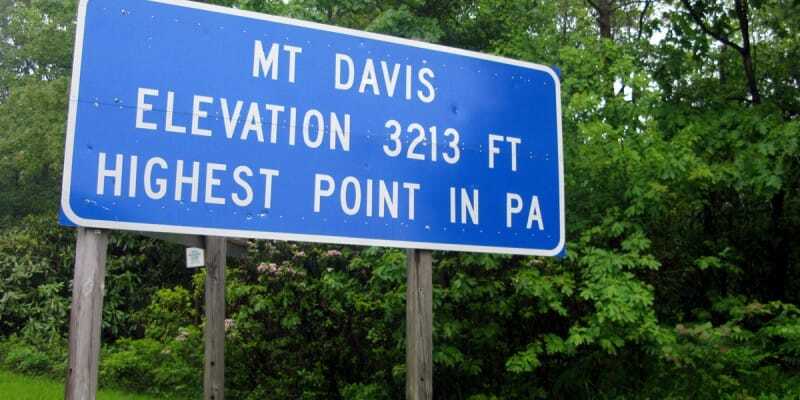 To arrive at the parking area for the High Point Trail, turn left after the large green Mount Davis sign.